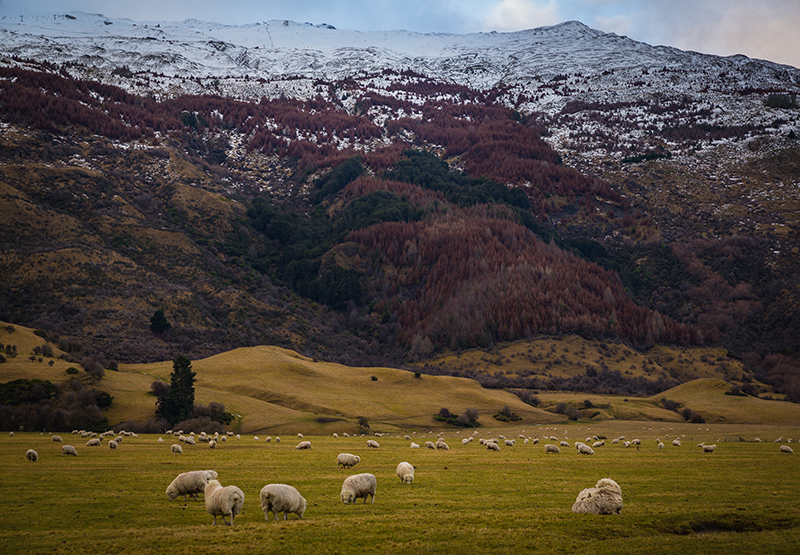 Queenstown’s sheer beauty is as bracing as the cold winds that tear across The Remarkables in the depth of winter. My first unforgettable glimpse occurs on final approach as my aircraft dips into a valley between snow-covered mountains before the lakefront wonderland comes into view. It is simply gorgeous. 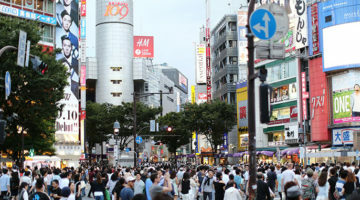 In the clear winter weather, first arriving in town is a sensory overload. 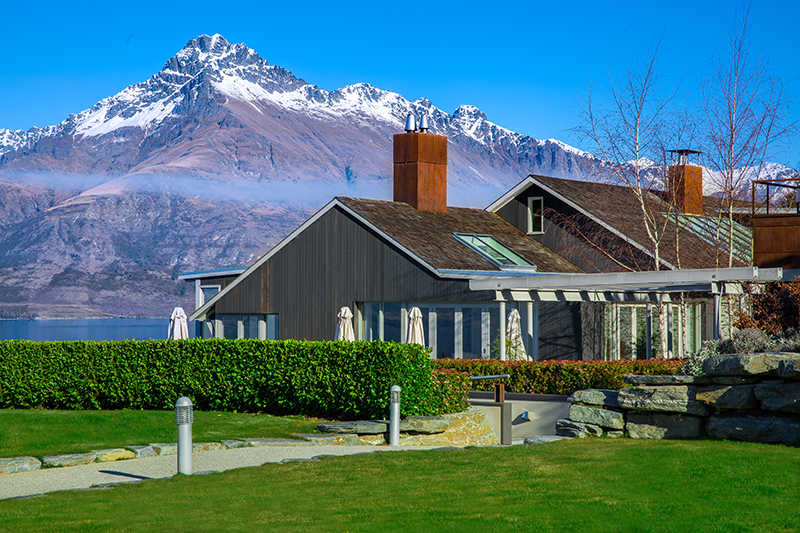 The pureness of the invigorating winter air, the deep blue sky, all cradled by the snow-capped cliffs of ‘The Remarkables’ instantly told me that I am in a special place. 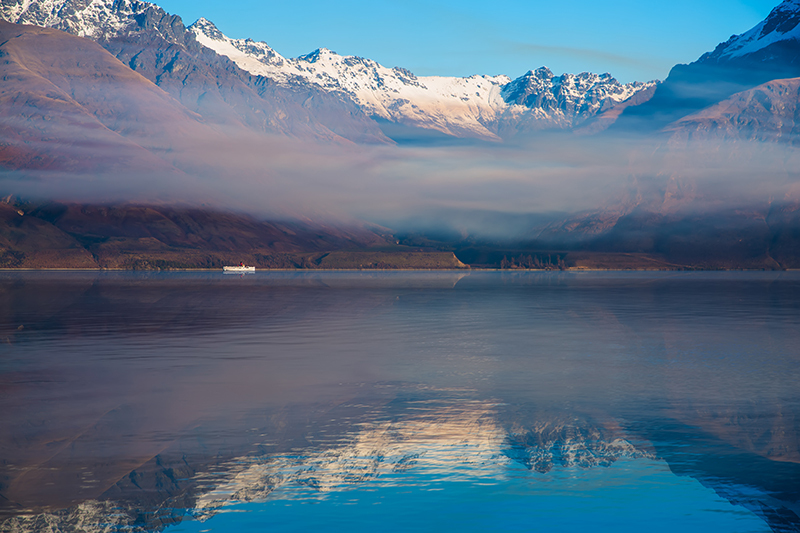 Queenstown is a mecca for adventure and thrill seekers. 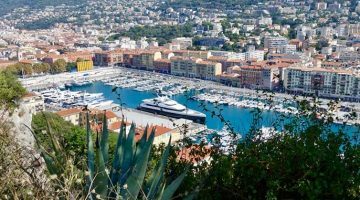 Perhaps most famed for plentiful winter sports, the warmer months offer an even greater array of activities and adventures. 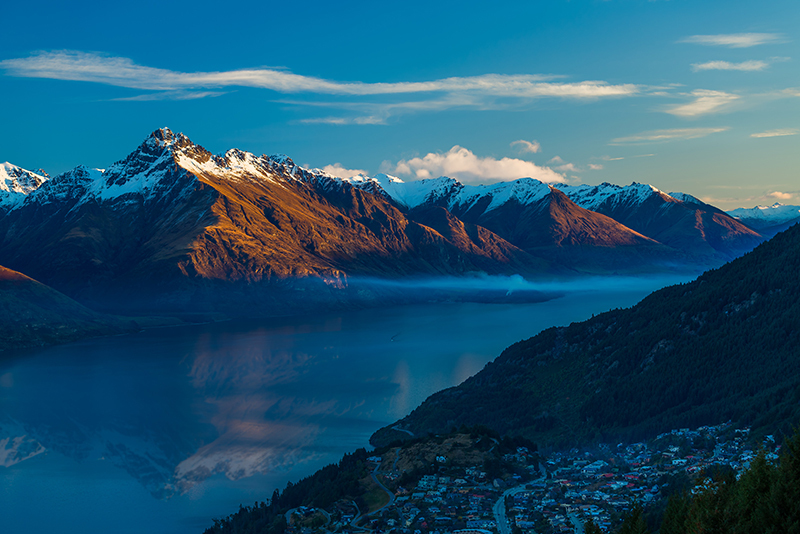 Essentially, it’s always the right time to visit Queenstown. 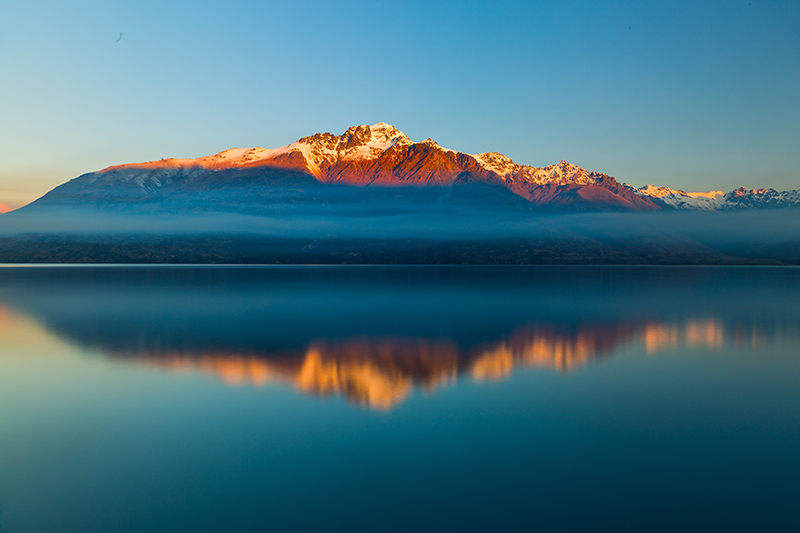 A couple of weeks in Queenstown evaporates all too quickly and for those looking for exclusive experiences, there are some stunning options available. 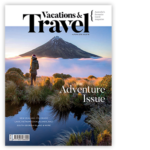 At last count, there are over 160 activities and adventures to sample in and around Queenstown with some being simply too exceptional to miss. The way to get a sense of the grandeur of this landscape and explore its surrounds in a reasonable time is by helicopter. 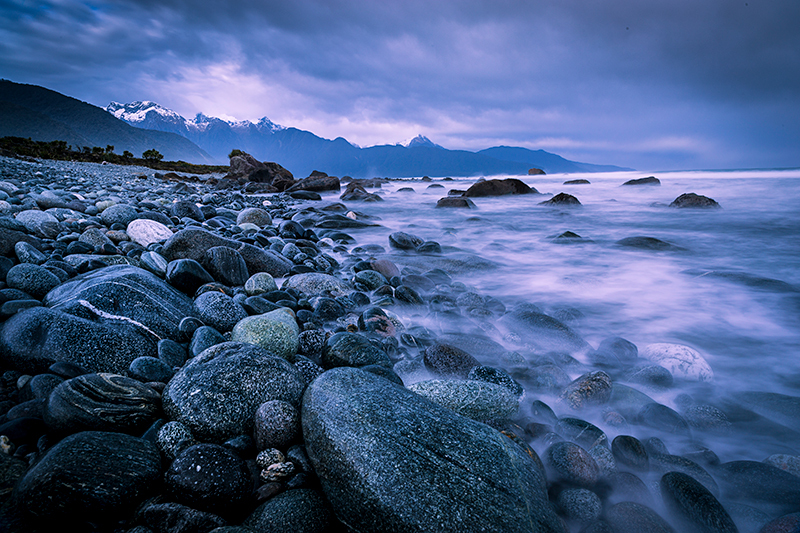 I set off for an early morning flight from the base of The Remarkables to head across the ski-fields of Cardrona to Milford Sound. 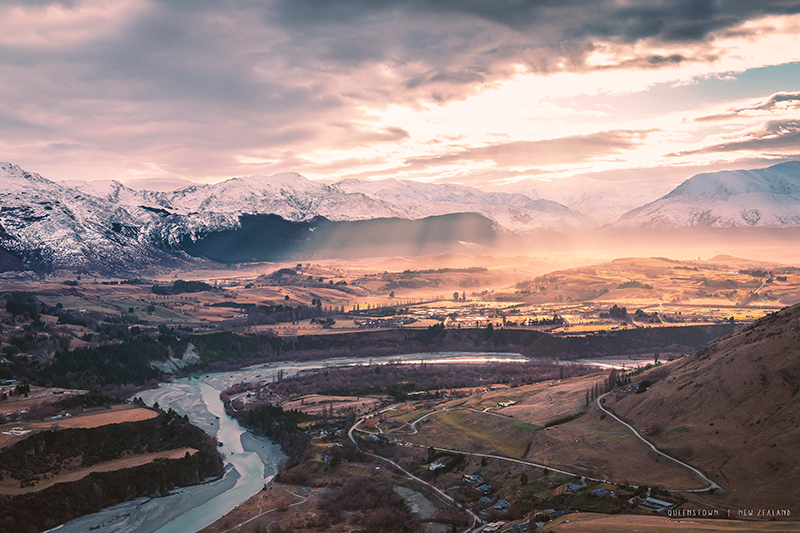 It was a cold, still morning as the helicopter lifted off, when a brilliant burst of sunlight pushed through the cloud layer and bathed the landscape in warmth, demanding rapid photo-taking in the first 30 seconds of the adventure. My flight past sheer cliffs and gushing waterfalls made its first landing at Milford Sound in full view of Mitre Peak, one of the most photographed sites in the region. 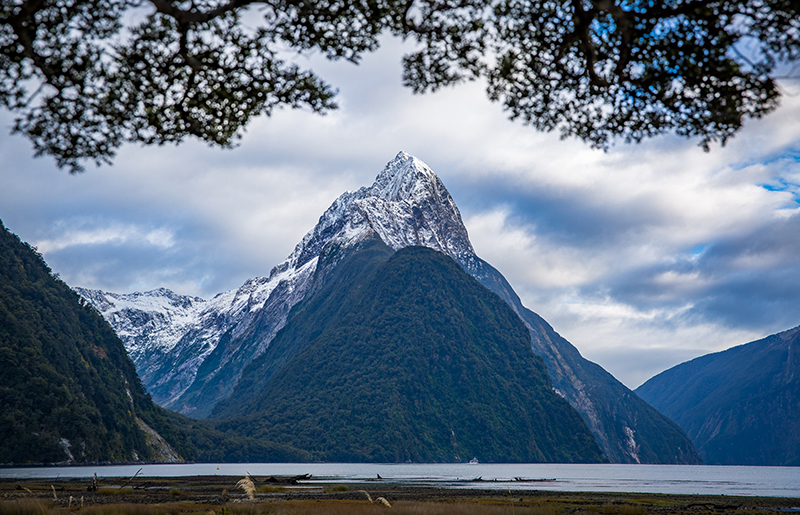 This area around Milford Sound creates its own weather and is one of highest rainfall locations in the world. As a result, its verdant green valleys are dotted with rivers and waterfalls and unique vegetation. After taking time for a few pictures, the chopper pushes off over the deep waters of Milford Sound to the Tasman Sea on New Zealand’s west coast to land a few feet from the lapping waves on a wild West Coast Beach. Instead of sand, the beach is made up of polished igneous boulders. After a few more photos and exploring, it’s time to take off – flying over a protected nursery of seal pups and then rapidly gaining altitude ascending past blue-green ice falls to land on Mt Tutoko glacier. Hovering next to these glacier formations, the natural, milky-blue ice structures look like giant ruins from an ancient civilisation and landing here is highly dependent on the pilot’s assessment of winds. 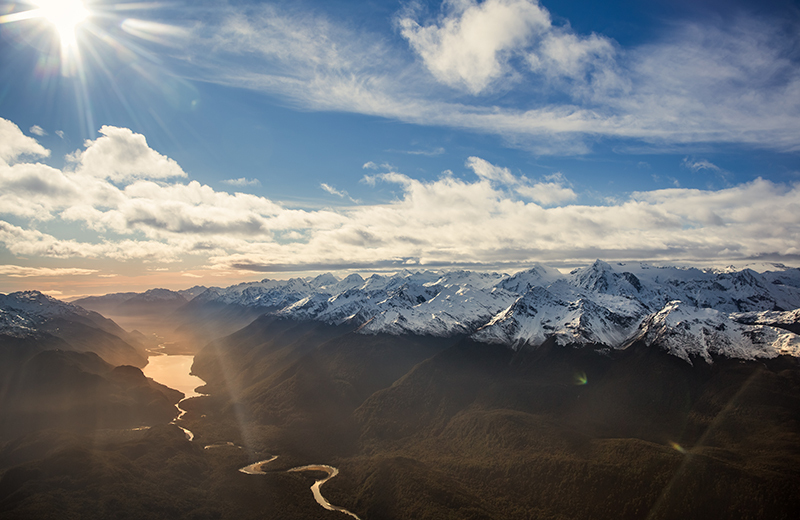 The final landing point is a snow and ice covered plateau on one of the peaks that surround the fertile valleys of Fiordland before flying back to base. The flight home passes over ever changing and ever more spectacular landscapes that feels like a private tour of The Lord of the Rings film sets. 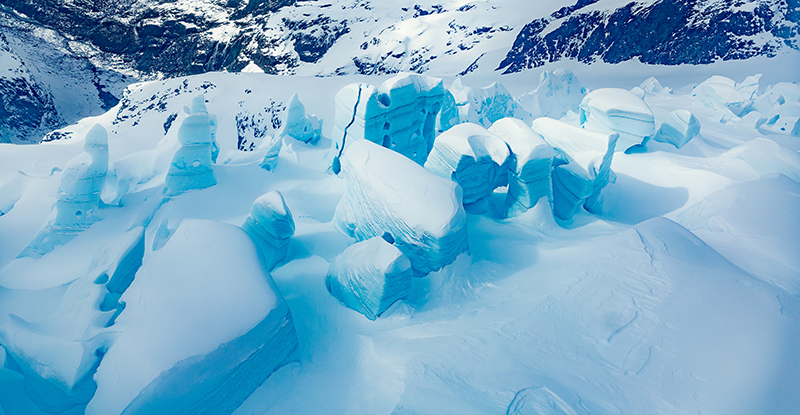 The ski fields of Queenstown remain an international drawcard and are some of the best in the Southern Hemisphere. They are accessible, beautiful and diverse. Within a week, I managed to hit the three most accessible ski fields from Queenstown; Cardrona, The Remarkables and Coronet Peak. I found these all beautiful places to ski with surreal views extending from the white fields then dropping off in the postcard-worthy, green landscapes below. The Remarkables appear to stand like a fortress protecting Queenstown and the drive up to the ski field is spectacular. Remember to pack chains for the often icy roads, as safety officials will prevent access if these are forgotten. Dress for the conditions as this place can get seriously cold. I experienced one morning at the top of the Remarkables when conditions were less than salubrious with wind chill hitting minus 20 degrees Celsius. Feeling quickly returned to the extremities with a warm beverage at the lodge. 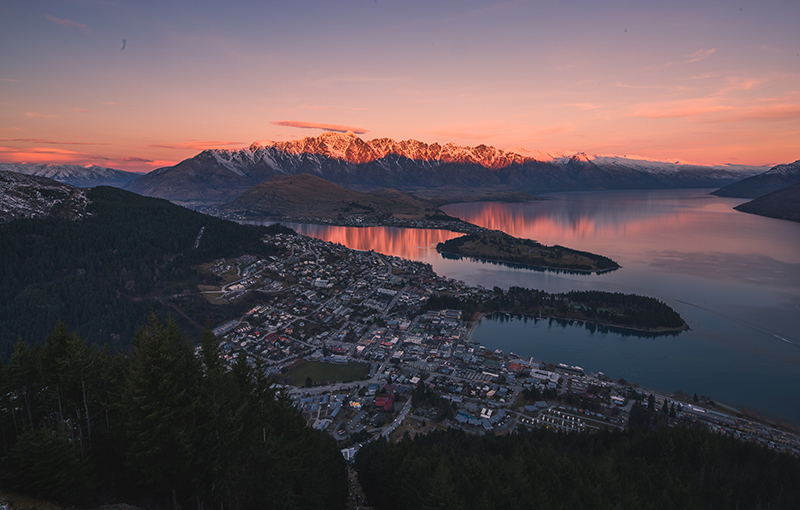 It’s all about the views in Queenstown and the Gondola from Queenstown to the top of Bob’s Peak is best done just before sunset. 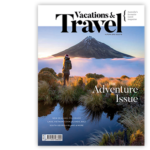 The panoramas across the picturesque town, the emerald water of Lake Wakatipu and mountains in all directions are gorgeous and demand taking time to snap some photos. 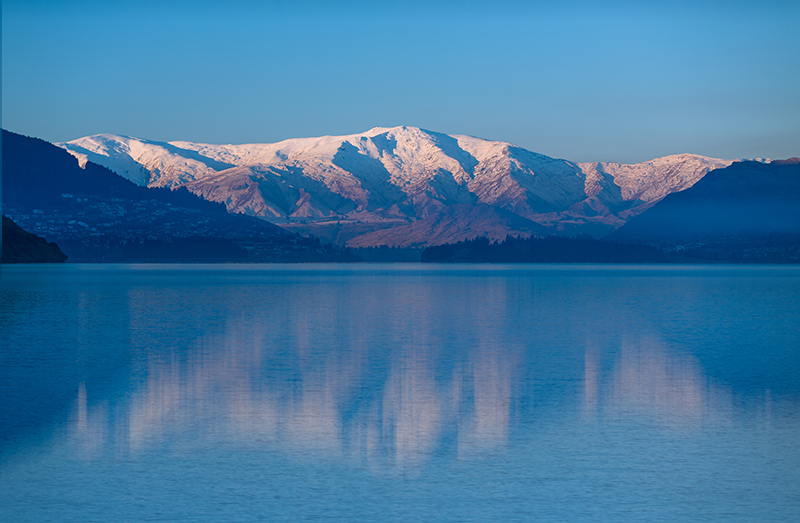 From Bob’s Peak, the view extends to Coronet Peak in the north and the iconic Remarkables mountain range to the east, then across the deep blue waters of Lake Wakatipu with Cecil and Walter Peaks to the southwest. It is truly awe-inspiring. 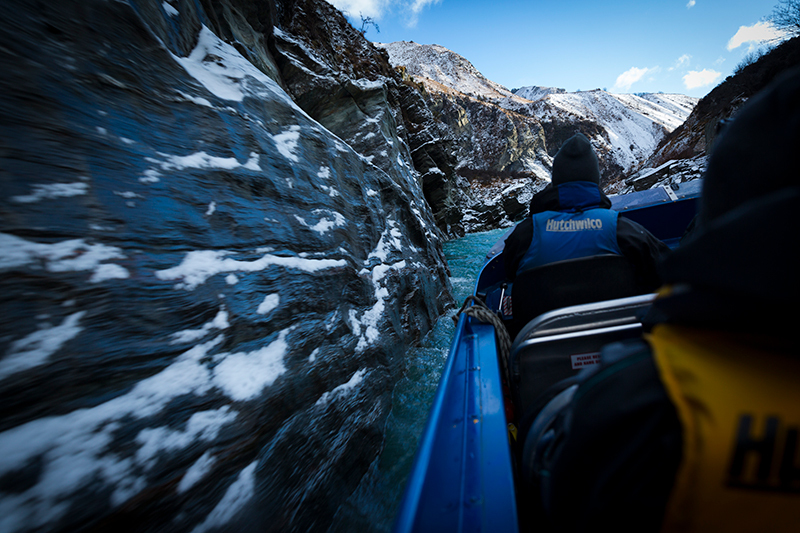 The shallow rocky rivers of New Zealand gave birth to the jet boat and the Skippers Canyon Jet operation is now part of the fabric of Queenstown’s adventure experience. This quintessential experience lived up to my expectation; travelling at breakneck speeds in barely a few inches of water. Our driver’s ability to deftly slide this slippery on-water rocket along a white-water river within centimetres of a rock-face must be experienced to be believed. In the midst of winter and in sub-freezing conditions, adrenaline kept me warm enough as we flew through the rock-faced canyon that lined the freezing river. This Nordic-looking scene was certainly intense with the canyon walls draped in icicles up to a metre long looking like menacing spearheads, all adding to the drama. After these and other rugged and extreme experiences, I returned each day to the sublime luxury of my lakefront lodge. This is the great appeal of Queenstown to me. 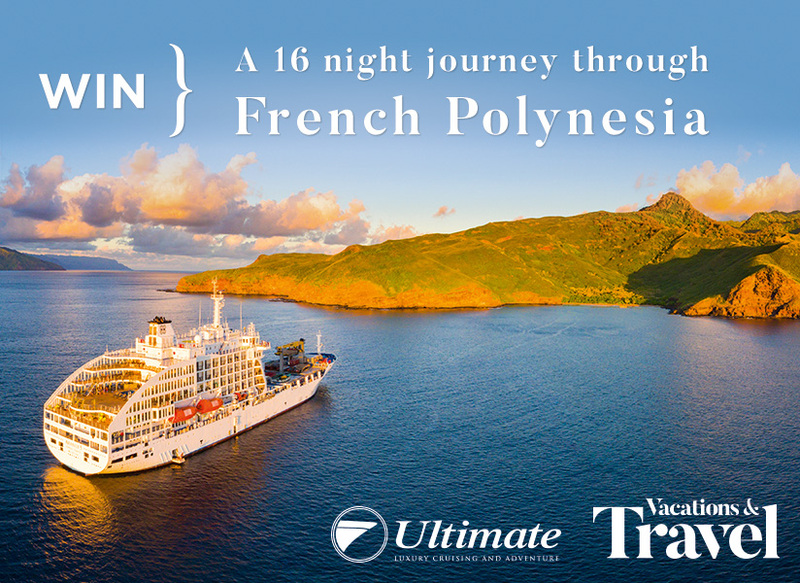 It is not necessary to choose between adventure or world class luxury. Queenstown amply provides both. 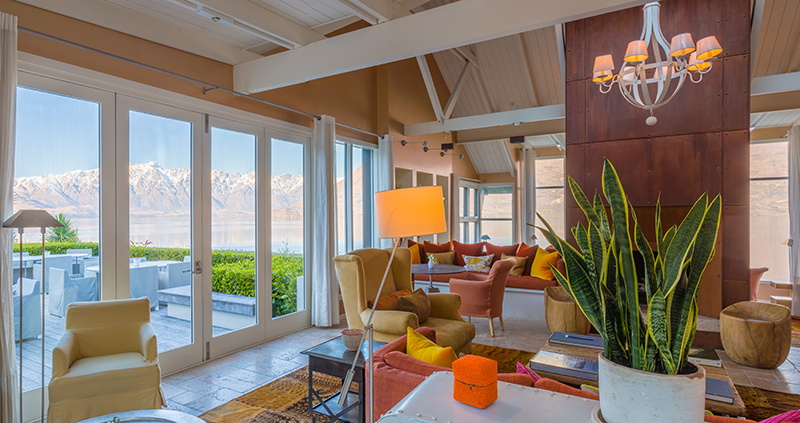 Luxury properties abound in Queenstown’s vibrant centre and on the outskirts of the town, just far enough from the action to ensure serenity and privacy are never interrupted. Queenstown ski season peaks in the mid to late winter with daytime temperatures in town sometimes just below freezing. 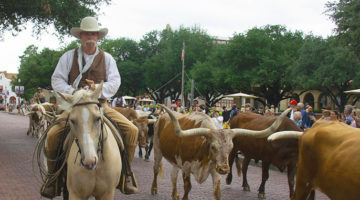 The warmer months offer even more activities and beautiful mild conditions. There is never a bad time to visit.